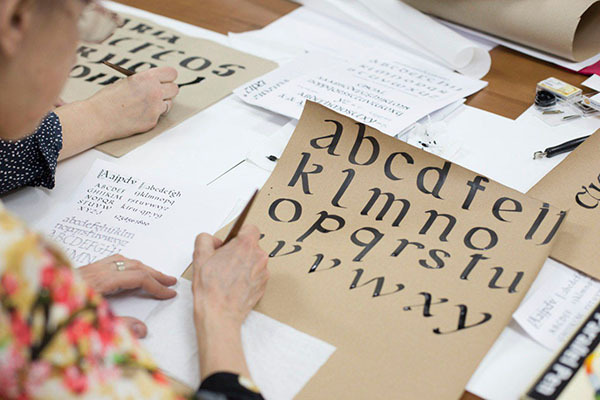 A workshop titled “An introduction to Calligraphy” was held in Kemerovo, Kuzbas region, over the last weekend. Dr. phil., art therapist Dmitry Turnov from Saint Petersburg arrived at the capital of Kuzbas Region to show the participants of the workshop most popular medieval scripts and contemporary scripts for broad-nib pen, pointed pen and paintbrush. At the workshop local citizens could get to know the basic and modern calligraphy instruments. “Modern calligraphy is very diverse – from mundane handwritten postcard inscriptions to high art where the expression of a handwritten sign does not always brings clear letterforms,” say the workshop organizers. The workshop made participants think of signs and their meaning, about the form and matter, about the role of the letter in an individual’s life. Everyone can master the skill of fine writing: you don’t have to have nice handwriting or artistic talent to try your hand at calligraphy, you just need diligence and practice.